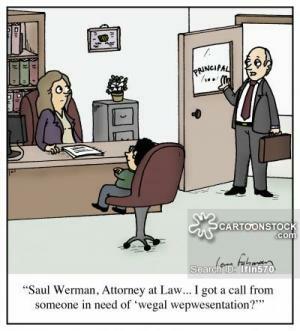 "the lawyer in me says go easy on this, but the pit-bull in me says sue the s!" 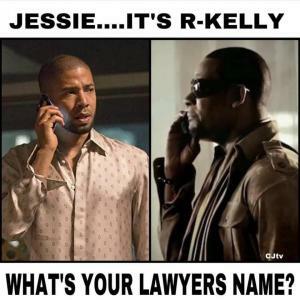 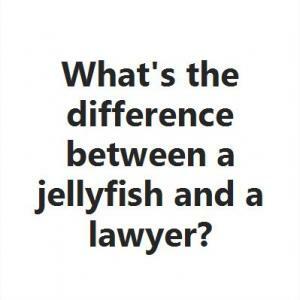 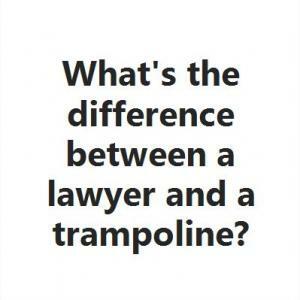 What's the difference between a jellyfish and a lawyer? 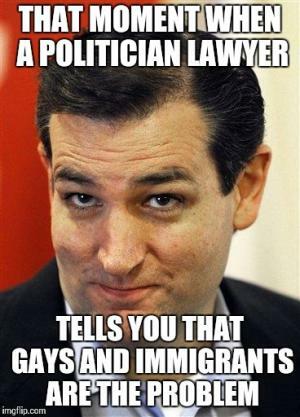 One's a spineless, poisonous blob. 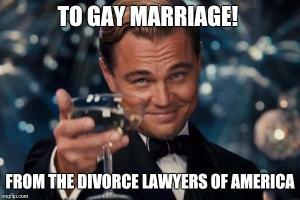 The other is a form of sea life. 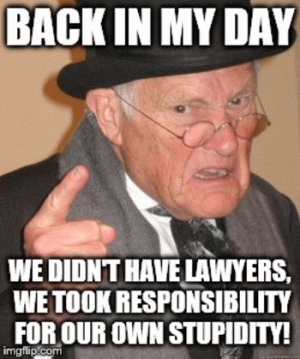 We didn't have lawyers, we took responsibility for our own stupidity! 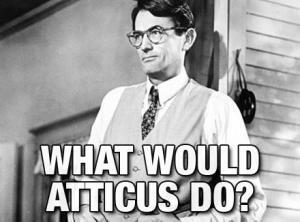 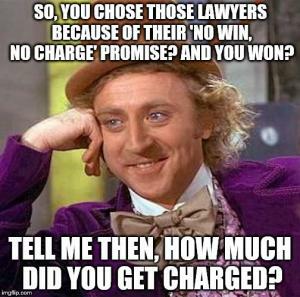 So, you chose those lawyers because of their 'no win, no charge' promise? 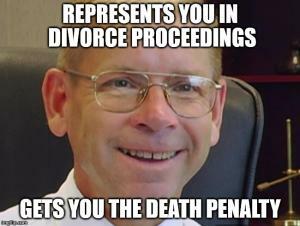 And you won? 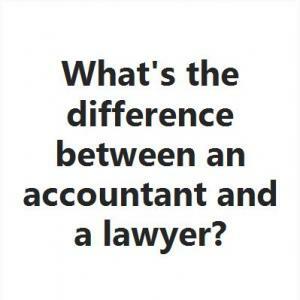 Tell me then, how much did you get charged? 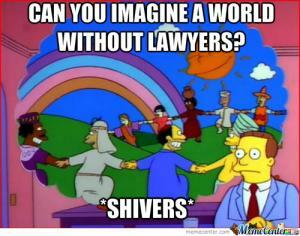 Can you imagine a world without lawyers?